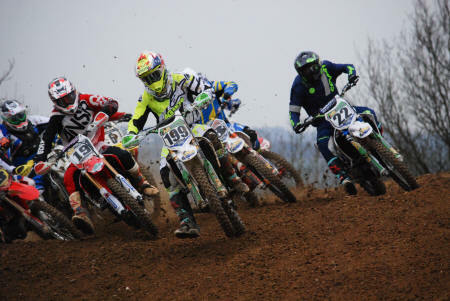 Northampton Motorcylists Club got the 2015 South Midland Centre Championships off to a flying start at the legendary Long Buckby National Track. Referred to by many as the ‘Field of Dreams’, the circuit was in prime condition for the opening round with the forecast rain wisely staying away. Nearly all classes were full as riders took advantage of the return to racing, and a chance to try out the new NMCC start gate which worked flawlessly throughout. With reigning champion James Russell sidelined through injury, the field in the Expert class was wide open. 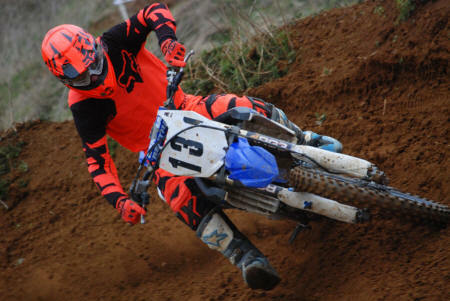 Rob Barney used his new 4 stroke to great effect with a hat-trick of wins, despite close attention from the 2 stroke pair of Michaele McClurg and Jordan Wright. Michael took second each time on his return from last season’s injury, with Jordan a close third. 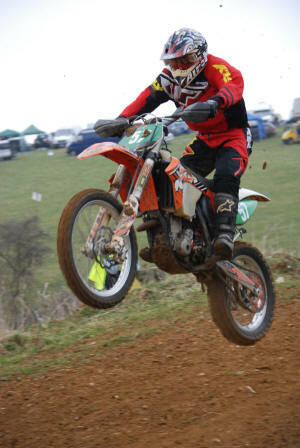 Dale Raynor completed the two stroke run in the Expert class with fourth overall from Mark Boswell in fifth. In the Junior A Group Nick Cooke won both Finals in style. Behind him the next four swapped places in each leg, with Matthew Ryan finishing overall second after a second in the first and a third in the second leg. Kyle Creevy improved to a second in the final race for third overall, with Greg O’Callaghan finishing fourth. 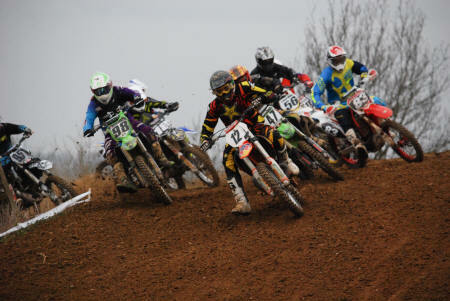 The Junior B class featured close, unpredictable racing all day. Ashley Rilings won the first race and took the overall win with a third second time out. Second place in the first race went to first timer Bob Devereux, before a crash in the second put him out of contention. Luke Postlewaite won race two and took second overall from Aaron Read. 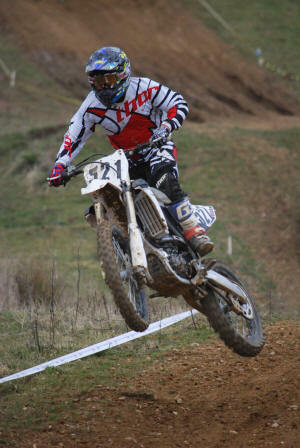 In the Premier Over 40 class Ryan Griffiths dominated taking wins in all three races. Behind him Tony Leishman and Fraser Law battled closely all day, but an uncharacteristic fall in race three for Tony gave the runner up spot to Fraser. Richard Wright looked set to win all three Elite O50 races, but newcomer to the class Greg Cox had other ideas. Richard won two races with Greg in second but their positions were reversed in race two. In the brand new O60 class Nigel Miller started the season as he means to go on with two wins and a second for first overall. Second place went to Roger Knibbs from Trevor Roberts. Another three wins in the U40 class took Rob Barney’s total to six for the day. 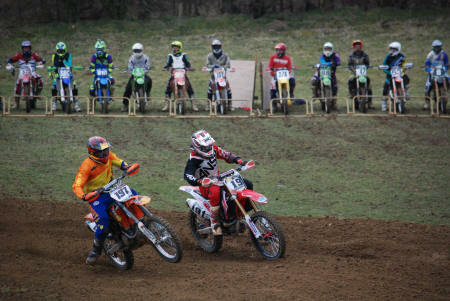 Kyle Creevy took second ahead of Steven Chilvers. 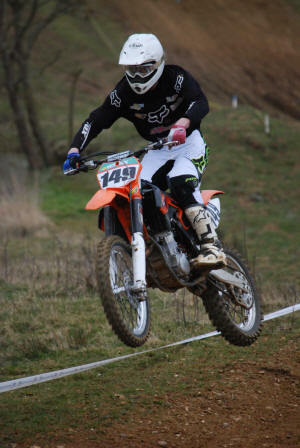 In doing so Kyle also earned first place overall in the 2 Stroke class, from Tony Leishman and Ian Tindle. no. name r1 r2 total pos. no. name r1 r2 total pos. 5 Ryan Griffiths 45 45 45 135 1 c no. name r1 r2 r3 total pos. 14 Richard Wright 45 42 45 132 1 c no. name r1 r2 r3 total pos. 231 Kyle Creevy 42 42 42 126 1 c no. name r1 r2 r3 total pos.